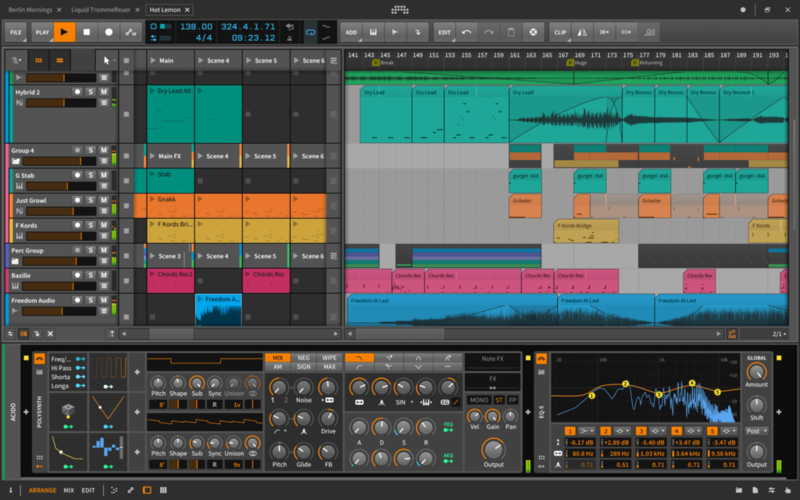 Bitwig gets its first blockbuster upgrade since launch, in beta now. And the first look at this software suggests it’s continuing to deliver what an enthusiast audience wants – even if some of the revolutionary promise of the tool remains over the horizon. So, first, what it isn’t: it isn’t a complete modular environment. Underneath all the goodies Bitwig offers is a set of modules that provide its functionality. Bitwig’s developers have said eventually they’ll open that up to users, not just for their own development. And that’s be exciting indeed. But forget about big ambitions for a moment. The step that we get here looks really useful. In fact, it might be friendlier to everyday users than the grand-modular-everything scheme. What’s cool about Bitwig is its consistency. I think Ableton has actually suffered as its included devices have fragmented. There are third-party tools that never get updated. There are truly native tools like Simpler – and those are great. Then there are features relegated to second-class citizens as Max for Live devices, which sometimes cause them to behave differently or load more slowly. There are different sets of tools for monitoring signal or looking at frequencies, and they aren’t available everywhere. Lots of functions aren’t modular. MIDI assignment is clunky. I could go on. Adding Max for Live seems to have become an excuse for not fundamentally improving any of this – at least through what’s now several years of updates. And, apologies, Ableton, but I think in this case you deserve the comparison. Bitwig’s first versions laid a foundation for something more consistent and integrated. But we had to wait for them to deliver a product that built from that competition past the competition. And modulators really look like they could be it. Every internal device, and every plug-in, now has an unlimited number of modulator slots. So add an LFO if you want. Add some math or randomization. There are envelopes and step sequencers and keytrackers and nifty X/Y controllers. Plug those in, change whatever you want. Do it anywhere. These are also all polyphonic. That combined with the cool control provided by devices like ROLI’s I think could open up a new approach to sound design. I won’t mince words: you can stop reading here, because I think modulators are a reason to give Bitwig a go. But I really think this illustrates the limitations of Max for Live, or running other environments as plug-ins. Being able to modulate in devices while you arrange, inside a DAW, natively, is a whole other experience. I can’t wait to try it, and I’ll be writing once I get some time with the beta. Hardware integration is the other functionality I think is really important, and really in tune with how many people want to work now. Again, it’s nice to see Bitwig add these features natively. Add those together with modulation, and many of you probably don’t need a full modular tool. Remote Controls for any device take the best feature of Live’s Racks – macro mapping – and appear to make it more coherent. Whereas those are device-specific and require setting up a rack, Bitwig’s feature can be saved with presets, too, and are available everywhere. They also go well with the hardware integration features above. The other reason I’m going to give this a second go is, frankly, fades/crossfades – which look elegant and nicely work not only in the arrangement view but in clips and audio editor, too. Like any maturing DAW, the rest of this is a sort of grab bag of lots of improvements to workflow – the various refinements that occur in parallel to multiple elements of the tool. So you get a spectrum analyzer, and spectral tools through the internal toolset. There’s an expanded Polysynth, with expanded timbral tools like oscillator mix and filter waveshaping modes – and it combines with those new modulators. There’s VST3 support – a rarity outside Cubase. If that didn’t excite you, zoom in on this shot of the Polysynth. The new visual language, the friendliness of the UI, the richness of modulation – this looks like promising stuff for synth lovers. They’ve also significantly streamlined editing workflows and how tools, menus, and windows are integrated. I expect some people will be disappointed that the revolution hasn’t arrived. And it means there’s a battle for Bitwig. The DAW market is crowded. Just being good – sometimes even being better – has never been enough. But I think we may finally get a chance to really take advantage of the modular engine beneath Bitwig. And since a lot of us have tracks we want to make, the availability of modulators and the nice suite of arrangement and control tools here mean something you can use right now, today. We’ll have more to say once we do our review. Happy modulating.